Welcome to The Gilkefeller! 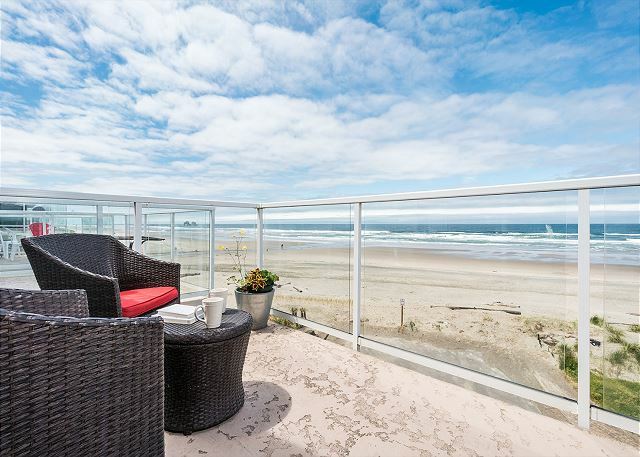 This premier oceanfront town home in Rockaway Beach, offered by Starfish Vacation Rentals, boasts a modern three-story design and two balconies, all ideally situated to capture breathtaking views of Twin Rocks and the expansive stretch of unspoiled sandy coastline that borders the property. This upscale 2-bedroom, 2.5-bathroom home combines the plush amenities of a chic boutique hotel with all the comforts and conveniences of home. 3-Night Minimum. 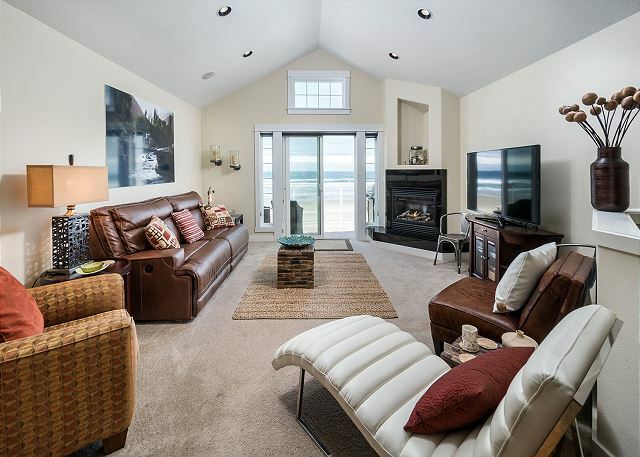 The entire upper floor offers dramatic ocean views. The gourmet kitchen has gorgeous granite countertops and stainless steel appliances, and it is well-supplied with high-end cookware and fashionable tableware for preparing and serving delicious meals at the large dining table. 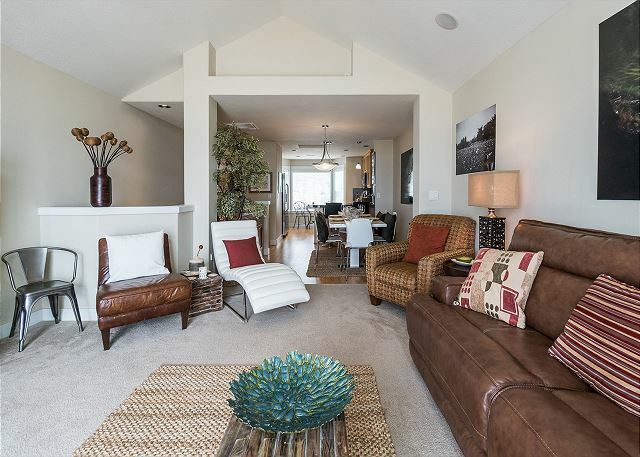 The bright, airy living room is furnished with a comfortable reclining leather couch, gas log fireplace, cable-equipped television, and DVD player. From the upper balcony, immerse yourself in refreshing ocean breezes while sipping a glass of wine and grilling on the gas barbecue. Two large sleeping rooms on the middle floor and two queen sofa sleepers on the ground floor accommodate up to six guests: the spacious master suite boasts its own ocean-view balcony, luxurious Jacuzzi soaking tub, and comfortable king bed; a second guest bedroom offers a queen bed and adjoining full bathroom. Each room includes a flat-screen TV. On the ground level, mix up a drink at the minibar and walk out the door to golden, soft sand between your toes. Rockaway Beach offers seven miles of pristine sand, perfect for long walks, exploring for treasures, flying kites, creating elaborate sandcastles, and building roaring bonfires. 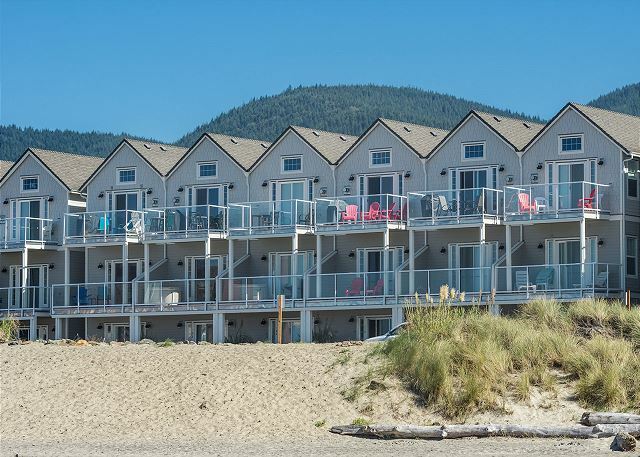 Beach chairs, wetsuits, kites, sand toys, and towels are provided for hours of convenient fun right out your back door! When you are ready to venture off the beach, you have restaurants, ice cream parlors, and quaint antique shops within a five-minute walk. Traditional festivals—Kite Festival, Pirates Festival, Arts &Crafts; Fair—are sponsored throughout the year, and you can enjoy concerts in the nearby park during the summer months. 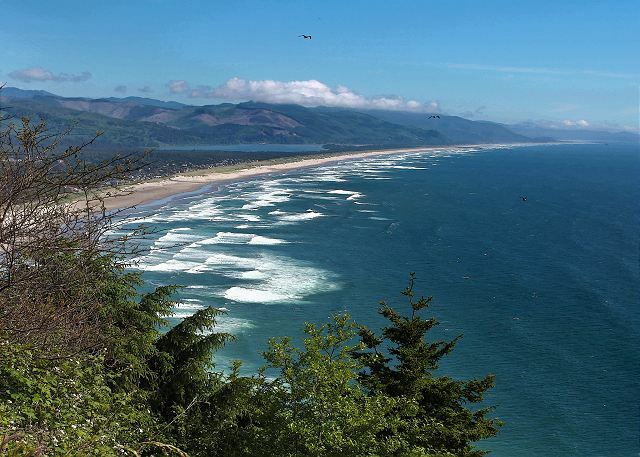 Just a short drive away are Cannon Beach, Manzanita, Three Graces tide pools, Nehalem Bay (for great crabbing, clamming, fishing, and fresh seafood), the Tillamook Cheese Factory, Oswald West State Park (with miles of hiking trails), and Cape Mears Lighthouse. Whether getting together with girlfriends, vacationing with family, or enjoying a romantic weekend with your sweetheart, you are sure to appreciate the understated elegance of The Gilkefeller and its serene yet central location. 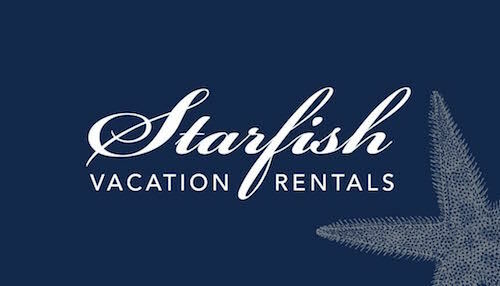 You are now being connected directly Starfish Vacation Rentals who is responsible for this property. A representative from Northweststays.com will be in touch with you shortly.